And that’s what I’m talking about. Even Mr. Picky himself went crazy for this cake. I actually came clean and told him there was zucchini in here and he didn’t care!! If you are nut-free, don’t sweat. Substitute sunflower butter in an equal amount and it will work perfectly. Sunflower butter does have a slightly nuttier flavor, almost like peanut butter. But I when I made the cake with sunflower butter for some nut-free people, they couldn’t detect it. Make it. Devour it. Love it. Share it. Tell me all about it. Preheat oven to 350 degrees. Grease an 8 x 8 or 9 x 9-inch pan. If you want to remove the cake from the pan in one piece, line it with unbleached parchment paper as well. In a large bowl combine the almond butter, maple syrup, cacao powder, salt, coffee powder, egg, vanilla, and baking soda until smooth. Pour into prepared pan and bake until just set and a toothpick comes out clean or with dry crumbs. Do not overbake. A 9 x 9 pan will take 35-45 minutes. An 8 x 8 pan will take 40-50 minutes. Allow to cool before serving. Notes: You can also add ½ cup chopped walnuts or pecans to the batter. I made this on Sunday and it is AMAZING. I did it in cupcake tray and it worked perfectly. Thank you! Sorry for the silly question, but would this recipe work well to make both mini cupcakes and standard cupcakes? Would I need to make any adjustments and how many do you think one batch would make? Thank you!! Not a silly question at all! Yes, you can make cupcakes or mini cupcakes. I am going to guess you can get 9-10 standard cupcakes out of this recipe and there are different sizes for mini muffin tins, so I don’t know. CHeck the cupcakes at the 20-minute mark. My son cannot have eggs. What is a good substitute? For the second year in a row my son requested this cake for his birthday cake. He’s 11 years old now. None of the invited children know how healthy it is. All they know is how delicious it is. I made this cake many times, thank you for this wonderful recipe. Now, I would like to make it vegan. I read your comment about flex-egg but wondered if an apply sauce or mashed banana will work? And how much to substitute one egg? Thank you! Gosh, I have no idea since I haven’t tried it. I imagine it would work with either, but there’s the possibility of the cake being a little denser. 1/4 cup of applesauce? I made this tonight and oh my word…it was delicious! I froze individual slices for later. A great recipe I’ll be using again and again. Thank you! I do indeed love this cake!! Love love just like you said eating it all until it’s gone telling myself it’s good for me and then dreaming about it until I make more! I usually double it, which works well and I had an extra egg when my hens give more and I’ve tried other nuts such as walnuts for the butter all with wonderful results! Thank you Pamela! Hi Pamela! This sounds great but I have 3 boys that are all allergic to nuts. Is there a substitute for the nut butter? Yes! That’s so strange that it’s not listed here, but sunflower butter works equally well! Enjoy! Hi, Pamela. This looks like a delicious recipe! Unfortunately, it is NOT sweetened only with maple syrup, as it also has semi-sweet chocolate chips. I might try subbing the chocolate chips with chopped dates. Hi Stacy! It is a delicious recipe and I hope you try it. I think diced dates would be an amazing swap for the chocolate chips! There are chocolate chips out there that are not sweetened with refined sugar, though. Lily’s is one possible brand. And there are other chocolate products not sweetened with refined sugar, such as Honey Mamas, which can be chopped into chunks and used as well! This is so delicious, I have to make it again. However I’m trying to go low carb, so need to replace the syrup/honey. I have both liquid stevia, and natvia. What would you suggest, as I think I’d need to increase fluid somehow with either of these. Thanks. Yes, I think you will lose moisture if you sub stevia for the maple syrup. Can you do applesauce? I might try 1/4 cup applesauce + 1/4 teaspoon stevia. Not sure how it will work though. Let me know if you try it! I just made this again yesterday, replacing all the maple syrup with the equivalent of natvia (1/3 cup), and then added 1/3 cup of water to make up the liquid. (I would have used almond milk if I had any). It looked to be the same consistency as your batter. I then cooked this in a ring tin (like a Bundt), as it seems to me, a good way to cook cake evenly, and not be drier around the outside edges. Took about 35 mins in my oven. I thought the raw batter was a bit sweeter than I would have liked, but finished cake seems to be just right for sweetness. Topped it with a dark choc ganache, as I did this for Hubby’s birthday. He loves it. I didn’t use applesauce, as there would probably still be too many carbs for a keto recipe. Might try that another day. I know there are other keto recipes out there, but I really liked that your recipe has almond butter AND zucchini AND chocolate. I am so pleased to have found your site. Thankyou !! Thank you for generously sharing your substitutions. I’m sure people who need to eat low carb appreciate the advice! this is one of my all time favorites! how many days would this stay good in the fridge? and (sorry for the amateur question)… how would you defreeze this? Nice to hear! You can keep it in the fridge, well-wrapped or covered, for about 5 days. If you freeze it, defrost in the refrigerator overnight and then on the countertop to thaw completely. I made this cake a few months ago and it was so amazing! I’m planning on making it again for Christmas, but I would like to add some peppermint extract to it and make it a peppermint cake (I’m also going to crumble up some gluten free peppermint cookies in it). How much peppermint extract do you think it will need? Great idea! I’m not sure, but I would guess 1/8-1/4 teaspoon. Peppermint extract is really strong, so a little goes a long way. I would start with 1/8 teaspoon and taste the batter. You can always add more. Let me know how it goes! I just made this for my family! 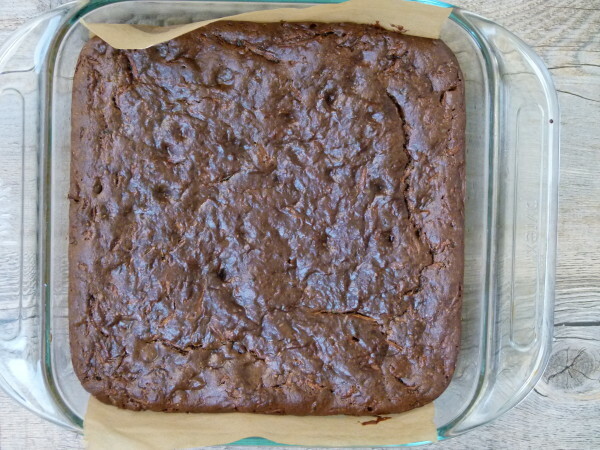 My middle – and MOST Picky eater – eating Carrots as his only vegetable…Absolutely LOVED this “brownie!” I will make it again and again and will NEVER tell them their is Zucchini In there! In this? Grated apples? Would that make it Too sweet? Apple sauce? I need to eat these again but have no zucchini. You can try grated apples. They may add extra sweetness, so feel free to drop a teaspoon or two of the maple syrup. I would not use applesauce. I don’t have any instant coffee powder but I do have an espresso maker could I just make a strong shot and use that instead? Would I need to decrease any other liquid? Do you squeeze the liquid out of the zucchini at all? Hi Deborah, Don’t bother with the espresso. The cake will still be great without it. I do NOT squeeze the liquid out of the zucchini. Enjoy! Made this for a picnic and every last piece was devoured by young and old alike. They are super delicious and super easy. Definitely add the coffee. Thanks for the great recipe!! Nice! So glad you enjoyed them. They are definitely my family’s favorite treat! 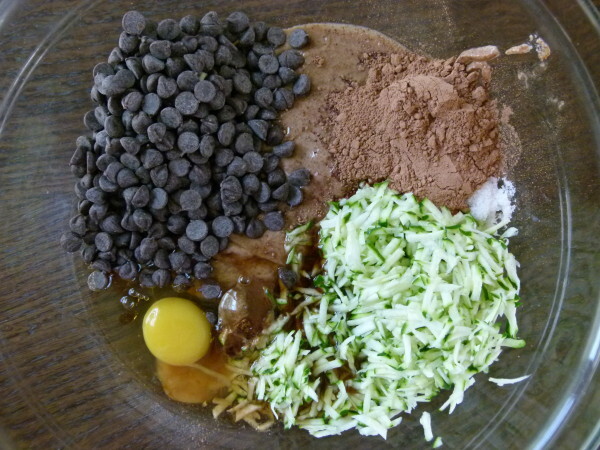 What brand of chocolate chips do you prefer for this recipe? Trying to avoid refined sugar when possible but do not want to sacrifice the taste of these! Thanks! Why don’t you try Lily’s? It is sweetened partly with stevia. Check them out! 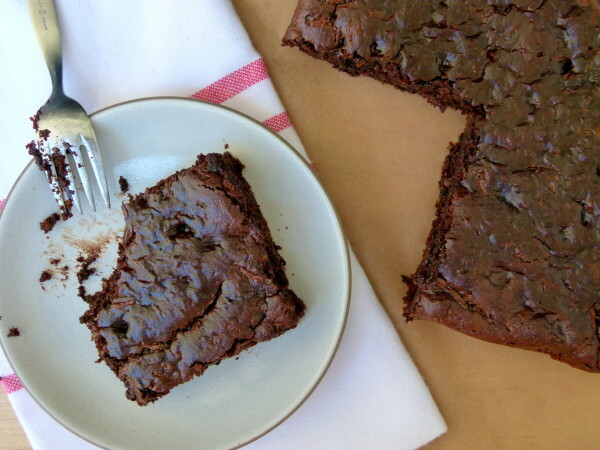 From my Mr. Picky: “This is the best brownie I’ve ever had!” Thank you!! Scrumptious!!! And so easy to make! I used half a stick of butter, honey, chopped walnuts. To be repeated! Thank you Pamela. Can’t wait to try some other recipes on your blog. All good substitutions! Let me know what other recipes you end up trying! These are OOC (out of control!)!. In 1 week I made these 3 times for various people and the reactions after they eat them are the best – how on earth can they taste SO bad for you yet filled with zucchini! Thank you for a such a superb recipe! I’m new to the ” family” ….I made this today because I have so much zucchini in my fridge and it sounded so good. My husband, who has wheat sensitivities and not a big fan of sweet cakes, went bananas over it! He kept calling it “pudding cake” – a child hood favorite of his! Thanks to him, we had instant coffee, which gave the cake recipe a nice depth. I just shared the recipe with my mom, sisters and a couple of friends! Hooray for Pamela! ( I hope it freezes well, so I can take some on a car trip in a couple of weeks). If I double this recipe should I bake it in a 13 x 9 dish or bake it in two 8 x 8 dishes? I think it would do fine in a 13 x 9, although I haven’t tried it. The only thing that gives me a little pause is that the base of this cake is almond butter (which can burn easily) and you would have to bake it slightly longer in a larger dish. I do think it would work, but I can’t say 100%. Thanks so much for your quick response. I ended up baking the cake in two 8×8 Pyrex dishes, side by side and they came out beautifully. Omg! I made this with the zucchini fries! It was a zucchini night! I really don’t know how this recipe is possible. It tasted just like a brownie cake!!! The flavor was super choclolatey and it cooked perfectly! I’m obsessed! Thank you so much for this!!!! This is amazingly delicious! When I read the ingredients I was skeptical it would taste like cake, but I am happy to report I was wrong. I do cut it up & freeze it, so I am not tempted to sit down with the pan & a fork. Great recipe – it’s so fun to see the surprise on someone’s face when I tell them what’s in it (and what’s not in it). Also love the pizza zucchini boats – my 2 new go to recipes for my zucchini harvest. Keep them coming! This cake is probably one of the best chocolate cakes I have ever had. We had some guests come over that were in a specific diet with no grains or dairy allowed so I made it using dairy free chocolate chips by enjoy life. No one knew what was in it and the ate the entire thing because it was so moist, chocolatey, fudgy, just AMAZING !!! How great is that?! Thanks, Niloo! Can anyone recommend a substitute for the egg in this recipe? Trying to make it vegan. Thanks in advance! I would try a flax egg and see if that would work. One “flax egg” is 1 Tbs. ground flax meal mixed with 3 Tbs. warm water. 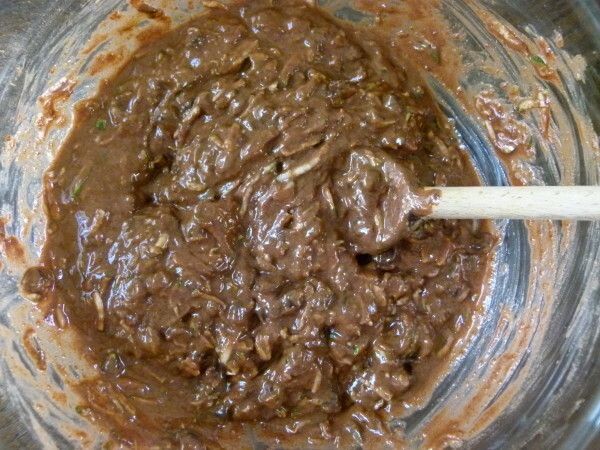 Allow the mixture to sit for 15 minutes until it starts to gel. Interesting. Thanks for your feedback. Really info to know! Amazing recipe!!! I’m not a baseball fan but got to say this is a Home Run of a dessert! Made it for dinner dessert today and no one believed me that there was no grains. I try not to eat any grains so this recipe appealed to me. So glad I tried it and so easy!! Thank you!! I am currently making this for the third time (in a month!). It’s amazingly delicious. I’m going to try them as cupcakes for my 2 year olds birthday. Thanks for a great recipe! I substituted the almond butter for sunflower seed butter and if was yummy as well. 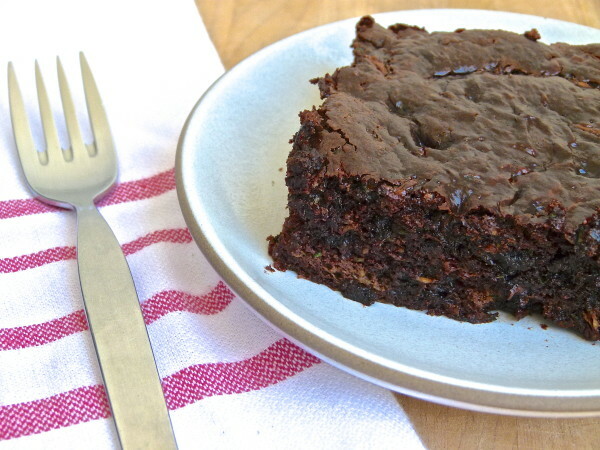 I baked it this afternoon…used grade a maple syrup, dark cocoa powder, guittard chips…turned out absolutely delicious. I poured 1/2 the batter in, sprinkled 1/2 cup of chips, then the other half and the rest of the chips on top….so it looked really “chippy.” My kids loved it. Great recipe – thank you! THREE CHEERS FOR PAMELA!!!! Having said that, I am very very afraid to make this as I know the result will be EXACTLY as you described it….but of course cannot resist…looks AMAZZZING. Yummm.Thanks!!! This is insanely delicious! As my friend Chrissy said, it’s like magic. And super easy to make too – YUM! Thanks. I am mad crazy for it. Can’t make it too much because I’ll eat the whole thing! I wanted to suggest a coffee substitute that is gluten free – Dandy Blend. Of all the coffee alternatives I think it’s the closest taste-wise. It’s especially delicious with a splash of coconut milk over ice! Thank you for the recipe, perfect timing as we head into the summer zucchini glut! Have you tried this with peanut butter? I have to avoid almonds. Thanks! Only because EVERY SINGLE dish of yours that I have made is a keeper will I be trying this cake, haha. And I already know it will be delicious!!! First let me start off by saying that I love you no matter what! However, any suggestions for decreasing the choc chips or substitutions for making this a little more ‘diabetic’ friendly?